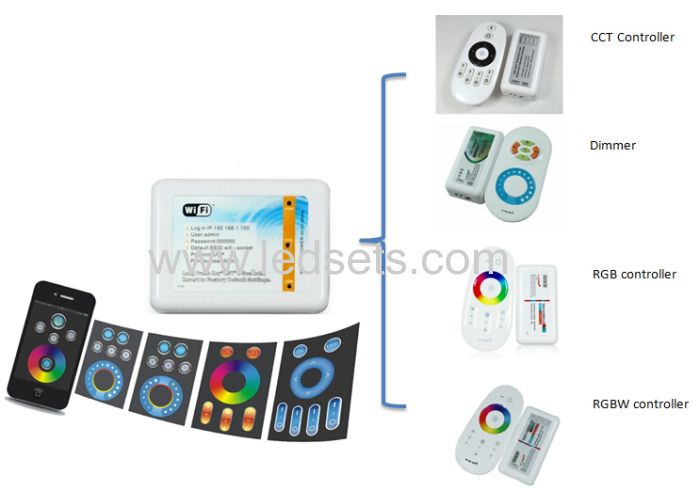 4 zone RGB LED Strip Controller 12V is a high-performance RGBW LED touch remote controller, adopting the most advanced PWM control technology, controlling all RGBW LED products with Five lines and four circuits (common anode),owning 640 thousand colors and 20 automatic changing modes to choose. Also, It has the memory function(that is to say, the previous settings will be resumed when power on again). 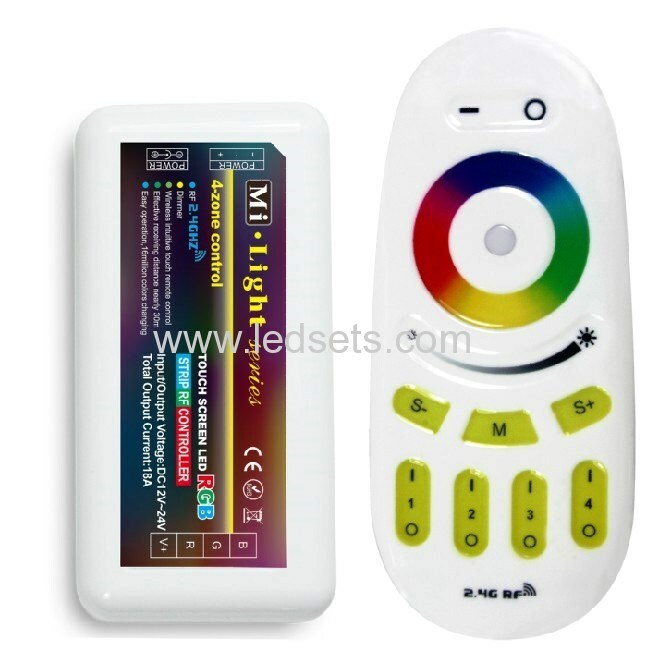 It is widely used in LED RGB LED strip light, LED module and so on. To dim all RGBW LED lights or change the color, press "Mater ON"
For RGB LED lights, the while is mixed from red, green and blue, so it is not pure white color, while RGBW LED, white is pure white. 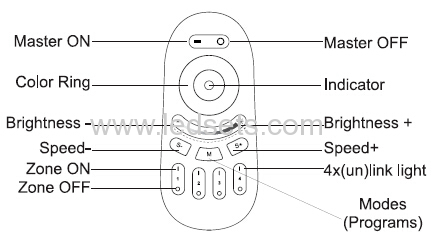 For a new kit ( remote& controller), the remote can work only when it is programmed to the controller. Correctly connect the power supply, LED controller and LED load. The LED light blinks three times slowly when it is done. The code can be cleared as needed. The kit (remote and controller) will stay in the original state after code clearing. It can work when code re-matching is done. Also, Correctly connect the power supply, LED controller and LED load. 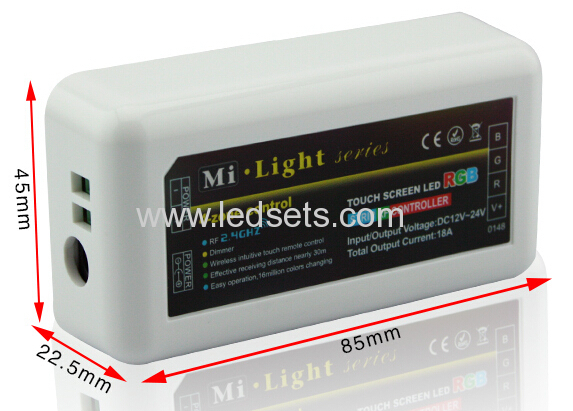 the moment you see the light is on.The LED light blinks six times swiftly when it is done.